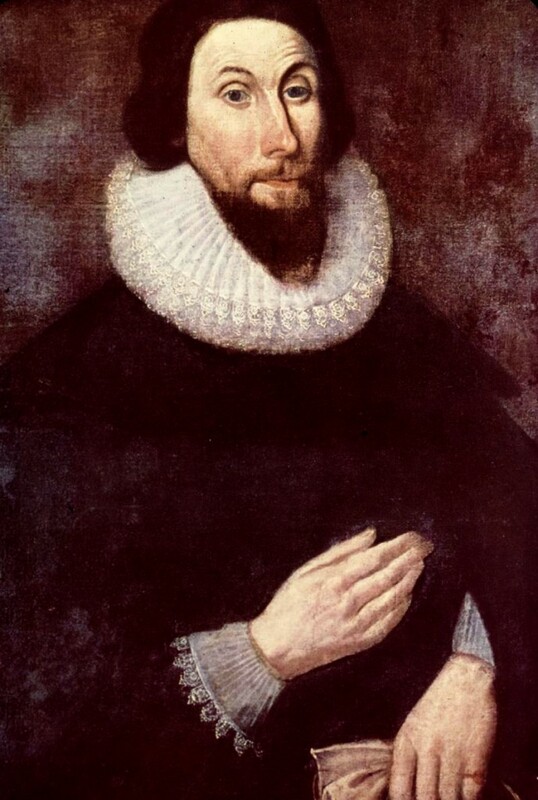 What did John Winthrop mean when, in his sermon “A Model of Christian Charity,” he told his Puritan followers that their colony would be “as a city upon a hill”? 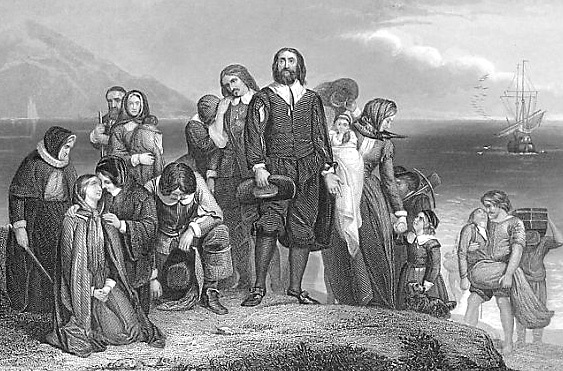 In telling his followers that their colony would be “as a city upon a hill,” Puritan leader John Winthrop was warning them about the cost of failure. A distinguished critic has maintained that John Winthrop’s sermon “A Model of Christian Charity” has been “enshrined as a kind of Ur-text of American literature.” Commentary upon it, he notes, “usually includes a nearly ceremonial invocation of its closing image of the ‘city upon a hill.’”1 This lesson follows in that tradition. Commentators often interpret the image as a prediction about the future of the Puritan colony or a claim to a special destiny for it. It is an easy step from that reading to a discussion of the image’s implications for the idea of American exceptionalism. This lesson offers a contrasting view by focusing on how Winthrop deploys the image in the sermon. It takes students through a step-by-step close reading of the paragraph that contains it. Designed to be done in a single period, the lesson assumes that the class has already covered the broad background of the religiously driven early seventeenth-century migrations from England to the New World and the difference between the separatist Pilgrims and the reformist Puritans. The lesson does not challenge the idea that Winthrop wanted the colony to serve as an example. He wants it to succeed materially and spiritually, and he wants it to be a model for “plantations” that follow. However, the lesson does not interpret the “city upon a hill” image as a confident forecast of triumph. Such a reading is unsustainable when, immediately after Winthrop mentions the city, he invokes the grim prospect of failure and its consequences. This interpretation emphasizes the visibility of the “city upon a hill” and by extension that of the colony itself. That visibility raises the stakes for Winthrop and his followers, and those stakes are nothing less than the meaning of the Puritan venture in New England. Indeed, the paragraph that includes the image is, in the end, all about the meaning of the Puritan colony. How will “all people” whose “eyes are upon” it interpret its fate? Will they see it as a model to be copied or a shame to be cursed? Being “a city upon a hill” magnifies the uncertainty, the opportunity, and the risk. The way Winthrop deploys it, the image of the “city upon a hill” is a warning, not an expression of hope. For additional information on teaching about the Puritans, consult the following essays in Divining America: Religion in American History from the National Humanities Center: Puritanism and Predestination and The Legacy of Puritanism. This lesson is divided into two parts, both accessible below. The teacher’s guide includes a background note, the text analysis, access to the interactive exercises, and the follow-up assignment. The student’s version, an interactive PDF, contains all of the above except the follow-up assignment. The first interactive exercise allows students to explore vocabulary in context. We recommend that they work through the vocabulary exercise before reading the text. The remaining exercise takes them through a step-by-step close reading. 1. Andrew Delbanco, The Puritan Ordeal, (Cambridge, Massachusetts: Harvard University Press, 1989) p. 72. We probably would not be studying John Winthrop’s sermon “A Model of Christian Charity” right now were it not for a particular image found it in, the image of “a city upon a hill.” It comes from the Bible, Matthew 5:14–15. Ye are the light of the world. A city that is set on a hill cannot be hid. Neither do men light a candle, and put it under a bushel, but on a candlestick; and it giveth light unto all that are in the house. That evocative image, resonating through American history, has been used by leaders as different as John Kennedy and Ronald Reagan to express America’s sense of itself as a special place, an example for all the world. But what did Winthrop mean when he used it in 1630? And how did his listeners interpret it? It is impossible to answer that second question because, as widely published and commented upon as the sermon is today, no one recorded having heard it delivered.2 Nonetheless, scholarship suggests that its audience would not have found anything exceptional in it. Its theme of Christian charity and even the “city upon a hill” image were common in sermons of the day.3 What makes it noteworthy is the context of its delivery. Winthrop preached it either in the port of Southampton before the Puritans set sail for New England or during the passage aboard the Arabella, the flagship of the Puritan fleet; no one knows for sure.4 With it he intended to prepare the migrants for what they would encounter in the wilds of Massachusetts. In that sense it can be read not only as a sermon but also as a pep talk and a survival guide. Its sermonic qualities are easy to see. Winthrop explains the ways of God to his flock. He instructs them on how to live. He urges them to lead moral lives and tell them what will happen to them if they do not. Throughout he supports his points by quoting Scriptural passages and telling Bible stories. But Winthrop’s listeners were taking great risks. They were leaving their homes to establish their lives anew in a foreign, unknown, uncivilized place. They needed to be assured that their risks would pay off. So Winthrop’s sermon is part pep talk in which he tells his listeners that better times lie ahead. Our goal, he reminds them, is “to improve our lives to do more service to the Lord; [to insure] the comfort and increase of the body of Christ… [so] that ourselves and our posterity may be better preserved from the common corruption of this evil world.” He paints a vision of success in which the colony becomes a model for those who would follow to the New World. How will these goals be achieved? Answering that question, Winthrop again turns the Bible (Micah 6:8), and his sermon becomes a survival guide. “Now the only way to… provide for our posterity, is… to do justly, to love mercy, to walk humbly with our God. For this end, we must be knit together, in this work, as one man.” The key to survival, he asserts, is unity in Christian love. If unity was much on Winthrop’s mind, so, too, was failure. He knew that the differences among his followers could tear the colony apart. Failure would signify that the Puritans had no “covenant” with God, that God had not given them a special “commission,” in short, that they had not been chosen to establish God’s kingdom in America. Many back home saw the Puritans as either blasphemous fanatics or deserters in the battle to reform the Church of England in England. Failure would vindicate those enemies and forever shame Winthrop and his followers. When he rose to preach, failure was much on his mind. 2. Francis J. Bremer, John Winthrop: America’s Forgotten Founding Father (New York: Oxford University Press, 2003) p. 174. In the paragraph we are studying, John Winthrop sketches two potential futures for his colony and expresses his worry about how people will judge the Puritans’ venture in New England. Analyze this excerpt through a series of summaries and close reading questions. Now the only way to avoid this shipwreck and to provide for our posterity is to follow the counsel of Micah, to do justly, to love mercy, to walk humbly with our God. For this end we must be knit together in this work as one man. We must entertain each other in brotherly affection, we must be willing to abridge ourselves of our superfluities for the supply of others’ necessities. We must uphold a familiar commerce together in all meekness, gentleness, patience, and liberality. We must delight in each other, make others’ conditions our own, rejoice together, mourn together, labor and suffer together, always having before our eyes our commission and community in the work, our community as members of the same body. So shall we keep the unity of the spirit in the bond of peace. The Lord will be our God and delight in all our ways, so that we shall see much more of His wisdom, power, goodness, and truth than formerly we have been acquainted with. We shall find that the God of Israel is among us, when ten of us shall be able to resist a thousand of our enemies, when He shall make us a praise and glory, that men shall say of succeeding plantations, “the Lord make it like that of New England.”  For we must consider that we shall be as a city upon a hill. The eyes of all people are upon us, so that if we shall deal falsely with our God in this work we have undertaken, and so cause Him to withdraw His present help from us, we shall be made a story and by-word throughout the world. We shall open the mouths of enemies to speak evil of the ways of God and all professors for God’s sake. We shall shame the faces of many of God’s worthy servants, and cause their prayers to be turned into curses upon us till we be consumed out of the good land whither we are going. Identify a time when different individuals were required to come together and work as a team for success. You may choose an example from history or current events, or you may choose an example from your own life — when have you had to work with others who may have had different ideas or backgrounds in order to ensure success? Construct a blog post of at least 200 words in which you describe the example, including the difficulties of coming together, the challenges of keeping together, and the rewards of success. Share your results with your classmates. I liked the lesson a lot. I think in the educational society that we live in today we really need to teach our students how to use context clues for vocabulary and how to practice "close reading" to make sure the ideas of the passage are understood. This is a great help in doing so. Since I work with elementary students, I could use the model from this lesson to develop something similar for my target grade level. Thank you for the interactive portion of the lesson to be completed by the students!